For those of you planning a road trip in the not-too-distant-future, take note that NJ remains the only state in the nation where it is unconditionally illegal to pump your own gas. The only other holdout in the country - OR - earlier this year began allowing counties with populations of less than 40,000 people to offer self-serve pumps (though only between the hours of 6pm and 6am). It's certainly puzzling given how the world has moved toward self-service in so many other ways that for some reason pumping gas in a couple of states is just too difficult for people. In banking, ATMs launched the original self service opportunity and it has been leveraged up significantly over the years. 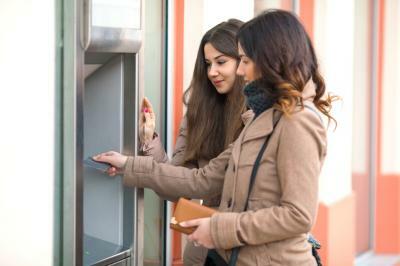 A study by Statistic Brain Research Institute found there are 3mm active ATMs worldwide, with 425,000 in the US alone. Not surprisingly, as ATM (and mobile/online) usage has increased, branch traffic has declined and the number of bank tellers has also decreased. Given such an aggressive shift to online and mobile in past years, many community banks have struggled to balance adding video and other fancy ATM upgrades or to simply limp along with existing units. Analysis seems constant when we talk to bankers, as many continue to review whether or not to upgrade their ATM fleets to accommodate chip-capability, changing technology and customer demands for additional features. As you go down this road, it might make sense to review several innovative developments taking place around the globe. For instance, the newest models from ATM maker Diebold can scan the user's eye for security, remember consumer preferences and respond to commands from a smartphone. Already, a number of large global banks have been experimenting with this biometric technology as a way to dispense cash safely and curb the growing problem of skimming. Banks are also experimenting with ATMs that offer customers the ability to withdraw money using their smartphones instead of a debit card. PayPal and financial technology group FIS already operate "cardless cash" technology on more than 80,000 machines worldwide. Customer convenience has been spurring additional changes at the ATM. Some banks, for example, now allow customers to withdraw odd denominations other than $20 bills. Other banks are adding supplementary features beyond cash withdrawal and check deposit. Within the next 2Ys for instance, JPMorgan customers will reportedly be able to pay Chase credit card bills and mortgages at the ATM. Another new area to take note of: an upsurge in the number of bitcoin ATMs popping up globally. At the end of March, there were reportedly 611 of these ATMs around the world, according to Coin ATM Radar, a website that tracks the bitcoin ATM industry. Consumers are also using ATMs for different kinds of transactions. In some countries, you can buy and sell stocks on an ATM, make tax payments, pay fines, buy travel or event tickets and pay utility bills. In South Africa, you can even buy funeral insurance plans at the ATM, while in India you can buy government securities through an ATM. Self-service in all forms continues to grow and will be a mainstay of banking in the years ahead. As your bank considers what to do with an aging ATM fleet, keep monitoring the big bank competitors, other ATM providers and reading about what is happening globally to stay in tune as you decide. Who knows - maybe one day the ATM will even dispense gas for your driverless car as you buzz around town. Expectations over the pace of inflation pushed yields up 1bp. 1) Royal Credit Union ($1.8B, WI) will acquire Capital Bank ($36mm, MN) for an undisclosed sum, marking the 2nd time this year a credit union has announced a bank purchase. Wells Fargo said it will offer eye print verification for commercial customers using its mobile banking platform. Customers can use the technology vs. their current token and based on customer feedback for a simpler and more secure way to authenticate is expected to gain fast adoption. KeyBank ($93B, OH) will sell 18 NY branches to Northwest Bank ($9.0B, PA) for a 4.5% deposit premium. Northwest captures $1.7B in deposits and $511mm in loans as part of the deal and Key took the action to resolve antitrust concerns around its First Niagara acquisition. Global bank regulatory group the Basel Committee on Banking Supervision has implemented new rules around interest rate risk at banks. Basel warns banks that the risk to changing interest rates is "material" given rates "may normalize from historically low levels." As such, regulators said banks should expect capital consequences related to interest rate risk of loans and other assets held for long periods where values can change as interest rates change. Bank of America is now offering customers the ability to check their credit score through the bank's website. BofA has reportedly embedded functionality from TransUnion. Much has been changing in the online marketplace lending space given rate movement, ramping up regulation and market gyrations. For its part, LendingClub said it expects loan losses on its loans will increase and it is raising interest rates on some loans based on changing credit risk. Meanwhile, Avant said its online loan origination declined 27% in Q1 vs. Q4.